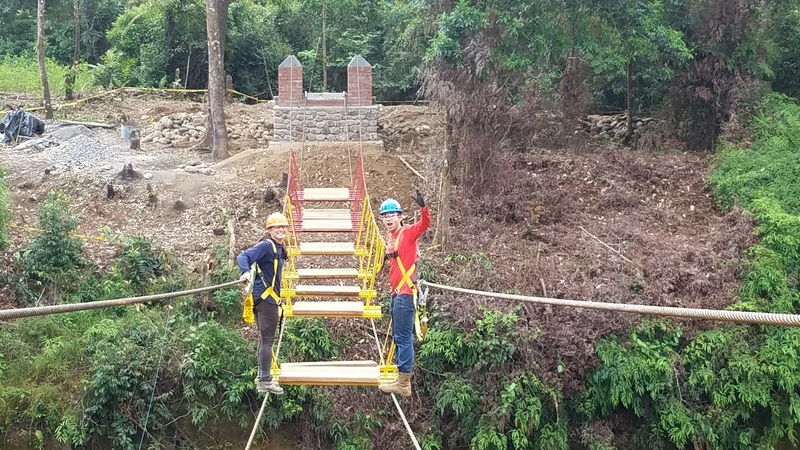 This summer Kate White and Rikki Kendall joined a team of 8 students from Rutgers to construct a pedestrian footbridge in the rural village of Palmar Pampa B near Cochabamba, Bolivia. 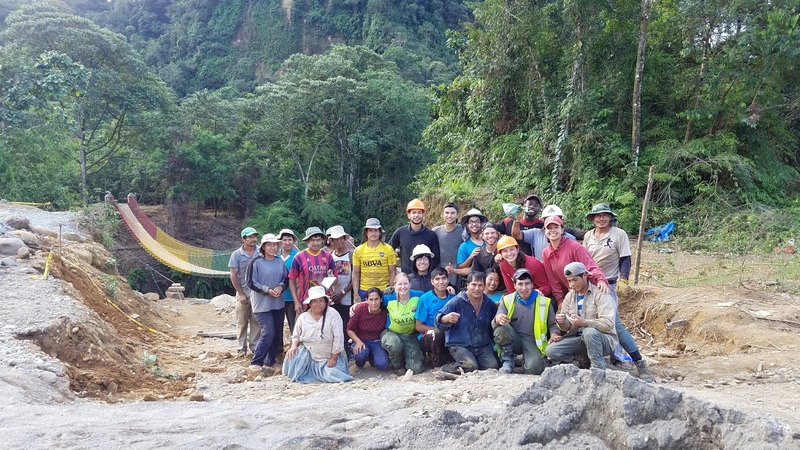 The project is a part of Bridges to Prosperity, an international organization that partners with universities and corporations to build bridges for isolated communities. Before the construction of this bridge, farmers from this village would have to leave during the rainy season as floods prevented them from getting to fields. 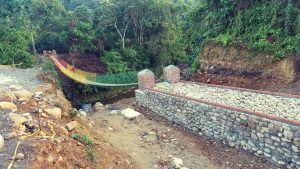 With the bridge, they will have year round access to fields and thus will be able to put in stronger roots in this village. They already have started getting running water, and also have plans for electricity and a school. Throughout the 6 weeks that the Rutgers team was there (4 of those including Rikki and Kate), they worked alongside the community, developing amazing and hopefully long-lasting relationships. Rikki and Kate were each at the site for 2 weeks and they learned to mix concrete, do design calculations, get the cables across the river, put the decking boards across and so much more. Both felt it was an eye-opening experience and are ready to take all of the knowledge from this year and use it to help Duke’s own Bridges to Prosperity chapter. After putting in some hard work and seeing the impact on the community, Rikki and Kate are extremely motivated to complete this year’s project. This year Duke will have its own team and will complete another 6 week bridge project, most likely in another isolated village in Bolivia. This is a very exciting time for Duke’s Bridges to Prosperity chapter as this year’s project marks a new beginning! Rikki and Kate would like to thank everyone who donated to them and supported them throughout the year. For weekly updates visit the Bolivia 2017 Weekly Updates page.